A family run friendly Ice cream Parlor and Coffee shop! Everyone is welcome, with a large free car park and access to the beach make sure you pay us a visit! With a large area of indoor and outdoor seating, everything is available to have “in” or “take out”. Please note we re open for the 2019 season on Monday 2th March. We will be open 11am-5pm daily. These opening times will increase during high season. Fancy a coffee? We are proud to serve the finest Lavazza Italian coffee, while you catch up with the daily newspapers. Snacks are also available. 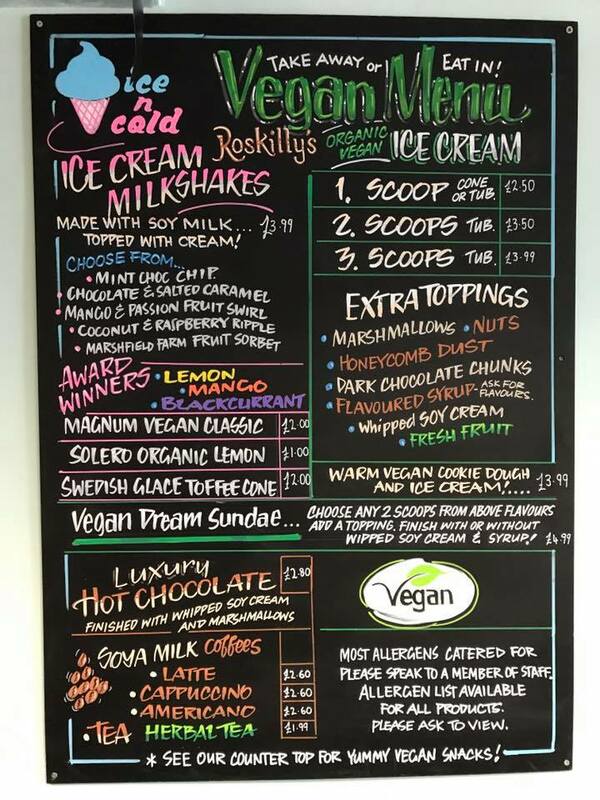 Here is our Vegan menu which would all be suitable. Our Vegan Cookie dough is delicious!